In 1923, Sigmund Freud presented an important idea on the human psyche – or better, the multiple aspects of it; id, as the primitive and instinctive component of personality, ego, a part of id that’s been modified by the external world, and superego, the values and morals of society which are learned from others. The theory set out to give answers to many questions regarding our identity and personal behaviour, the way we relate to ourselves and our place within society, how our urges and the world around us influence our actions and even thoughts. 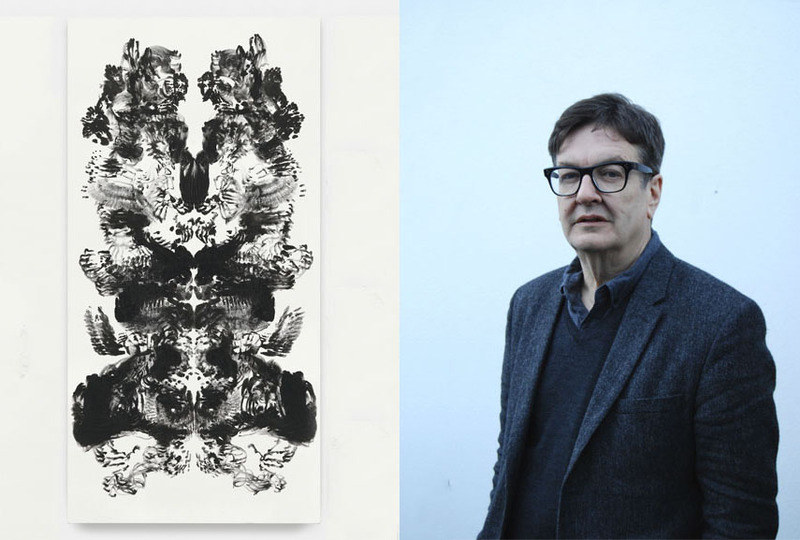 Relying on Freud’s theories is one of Britain’s most important contemporary artists, Mark Wallinger, who will present his new body of work dedicated to ID in his first ever exhibition at London’s Hauser & Wirth. 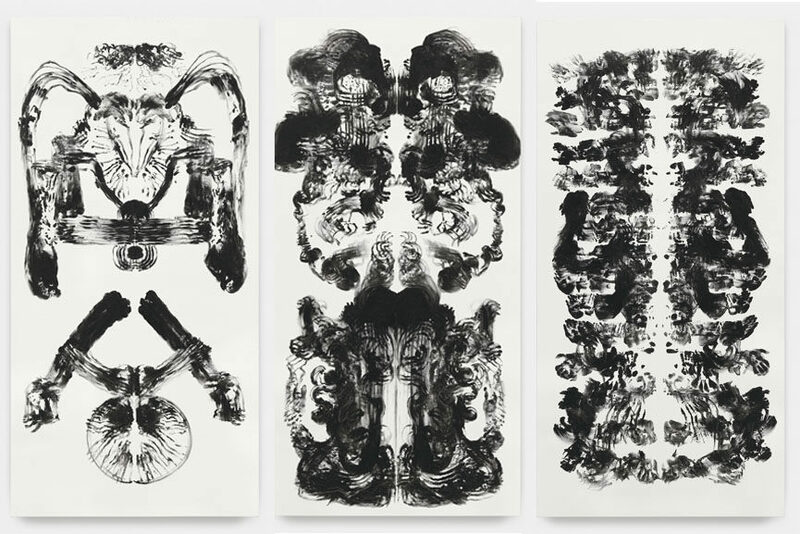 Mark Wallinger’s psychological explorations begin with a series of new paintings, entitled the id Paintings. They appear as the visual interpretation of Freud’s thesis, calling to mind the bilateral symmetry of Leonardo da Vinci’s Vitruvian Man. They are their own kind of the Rorschach test, depicting the act of instinct, impulse and intuition through the artist’s own body. 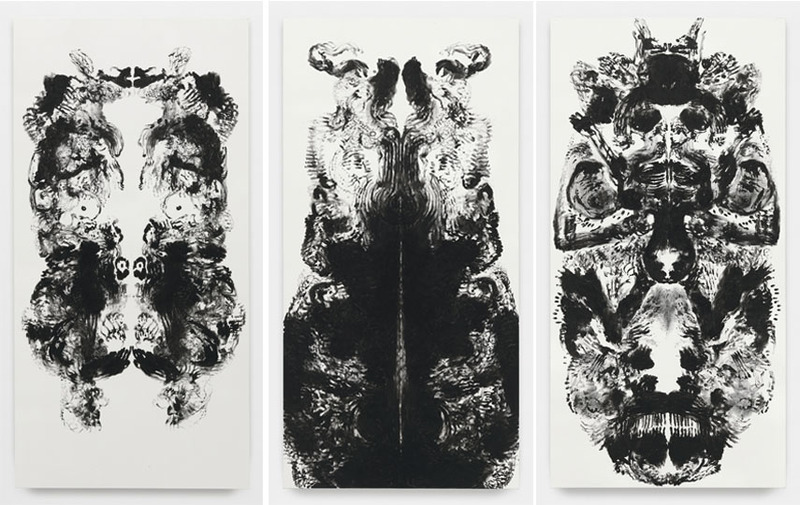 All paintings are of the same dimension, tall as Mark Wallinger himself and wide twice as much, and in them we see mirrored halves, created by sweeping paint-laden hands across the canvas in active freeform gestures. Like the id, they’re all based on Mark Wallinger’s primal urge, inviting the viewers to engage in an introspection of their own. Another work, Ego, pays tribute to Michelangelo’s Creation of Adam through two iPhone photographs of the artist’s hands. 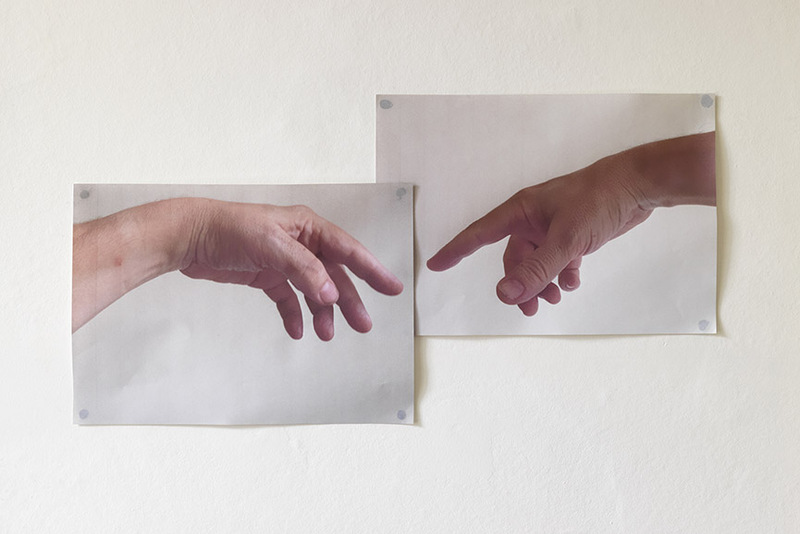 Finally, Superego represents Mark Wallinger’s latest sculptural work. It features the revolving New Scotland Yard sign, as a symbol of an all-seeing, ever-present eye that controls our behaviour, just like Superego does. 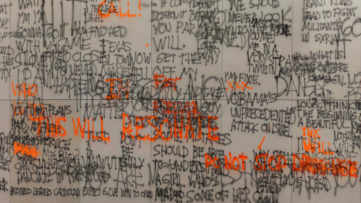 Also on view, there will be Mark Wallinger’s other multi-media works. Among them, his new video work entitled Orrery, created in 2016 and starring the New Fairlop Oak in the centre of Fullwell Cross roundabout in Barkingside. Also made with an iPhone blue-tacked to the driver’s side window, the film shows the tree as the centre of Britain, of our entire world, as we revolve around it. In another piece, Venus and Mars, we see circular photographic images of human flesh as faraway planets, isolated from their usual context. 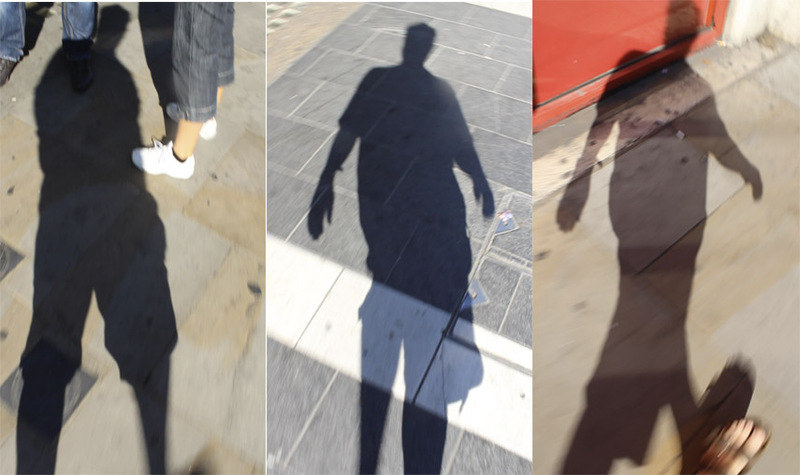 In what’s described as ”a modern-day version of Peter Pan’s lost shadow”, Mark Wallinger is documenting his own shadow during a walk along Shaftesbury Avenue, as it fluidly moves on the pavement and over other people. This video is entitled Shadow Walker. 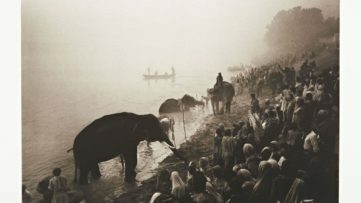 Via his direct approach, Mark Wallinger invites us to witness his self-reflection, but to also indulge in creating our own; to recognise parts of ourselves and our consciousness that are perhaps unknown to us, yet that are nevertheless crucial in the way we construct our personalities and interact with those around us. ID, an exhibition of works by Mark Wallinger will be on view at Hauser & Wirth’s Savile Row spaces in London, UK, from February 26th through May 7th, 2016. The opening reception is scheduled for February 25th, from 6pm to 8pm. Featured images in slider: Ego, 2016. Prints on paper, ca. 30 x 50 cm. Photo by A C Cooper; Left: id Painting 29, 2015 / Center: id Painting 37, 2015 / Right: id Painting 44, 2015. 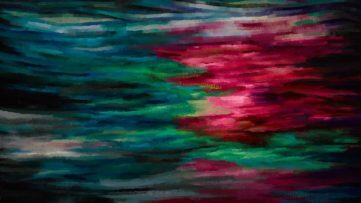 All works acrylic on canvas, 360 x 180 cm (141 3/4 x 70 7/8 in). Photos by Alex Delfanne. Copyright the artist, courtesy the artist and Hauser & Wirth.